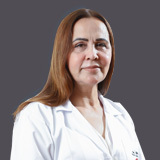 Dr. Israa completed the MBChB (1997), and the DGO (2005) at Baghdad University Medical College in Iraq. 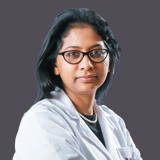 She also completed the MRCOG at the Royal College in the UK in 2011 and received her qualifications from the Arab Board of Medical Specialization in Obstetrics and Gynaecology (2009). 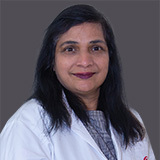 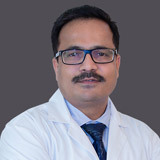 Dr. Israa is part of several committees and associations namely the International American Association of Obstetrics and Gynaecology since 2010, the International Iraqi Medical Association in 2009, the EMA since 2009, the Iraqi Family Planning Association since 2005, and the Iraqi Medical Association since 2000. 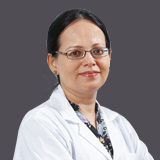 She also trained in Paediatric Medicine, Paediatric Emergency Treatment, Dermatology, ENT, and Surgery at Ibn Al Khateeb Hospital for Infectious Diseases (1998 – 2000). 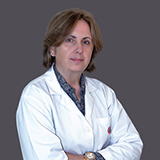 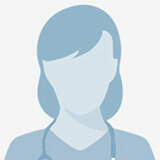 Dr. Israa worked as a General Practitioner and Obstetric GB at Saddam General Hospital in Baghdad (1998 – 2000). 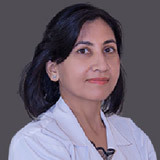 She then moved to Yemen where she was a Registrar Obstetric at Al Hayat Hospital and Al Mousaly Polyclinic (2000 – 2003), and a Registrar in Obstetrics and Gynaecology at Al Jounhoory Teaching Hospital (2003 – 2004). 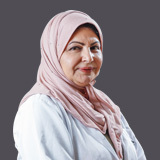 Dr. Israa worked as a Specialist Registrar OBG at Behloul Specialty Hospital in Dubai (2008 – 2011), and as a Specialist Obstetrician and Gynaecologist in Welcare Hospital in Dubai (2011 – 2012) and in SKG Hospital (2012). 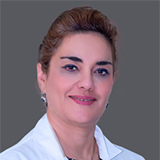 Dr. Israa speaks Arabic and English.